To connect to the VisualCron Server you need to create a Client object first. 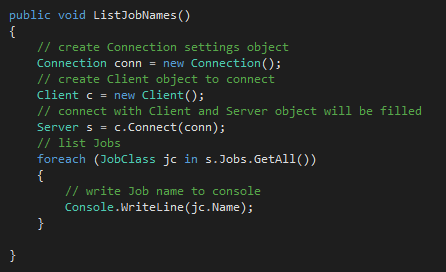 The Connect method returns a Server object. The Server object has access to all main objects within VisualCron. 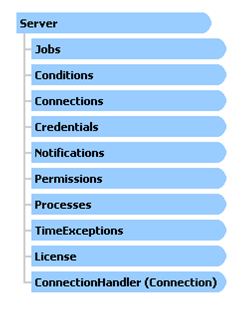 These objects have events that you could add use to be notified when a Job or Task is added for example. This information is updated in real time during the connection.